Beaducation: The Blog: Let's Go Places! Aside from the actual adventure I would have to say memories. Whether you and your friends reminisce about that time in LA with the weird guy and his pet bird or your latest trip to Disneyland with the littles, reminders can put a smile on your face at any time. 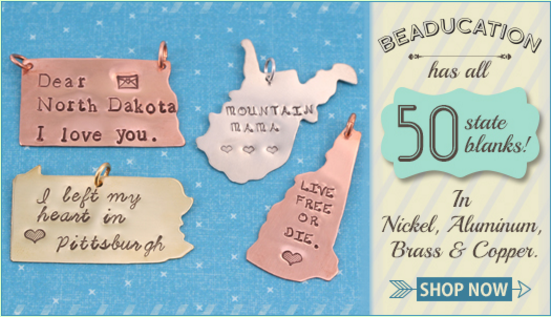 Our state blanks and stamps have been a big hit so consider this a reminder and get excited about what's to come. 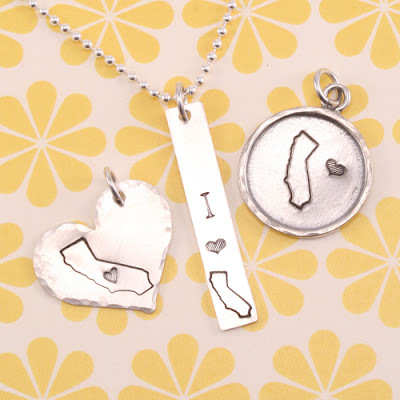 Create a key chain with a special message that maybe you and yours know as an inside joke, go the traditional route with "I left my 💜 in San Francisco" or list some of the activities you all enjoyed on your state blank. 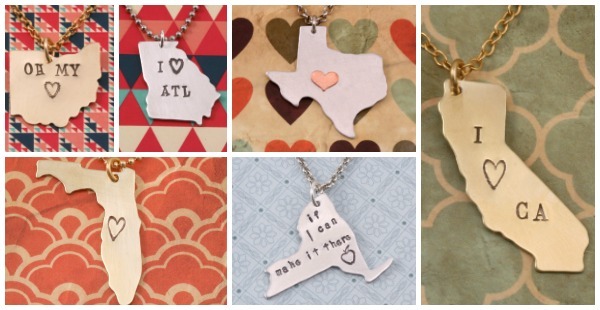 So many options, so many states and...yes, so many metals to work with. If you are new to stamping, welcome to the wonderful world of stamping - you can learn how for FREE here. 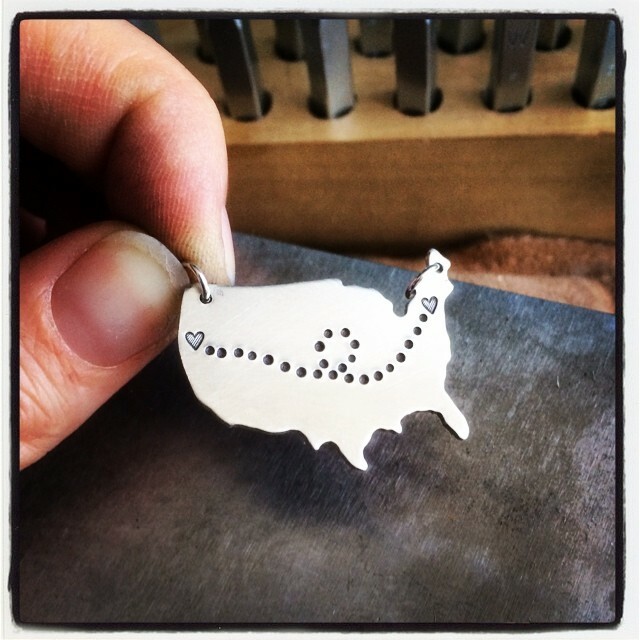 If you are an advanced stamper, you know we want to see your uh-mazing work so feel free to tag us #beaducation. An intermediate FREE online class can be found here. For best results with Design Stamps, make sure there is NO padding under your Bench Block, make sure you are working on a stable table, and use a hammer which weighs at least 16 ounces. We recommend a Brass Head Mallet. Feel free to hit the stamp more than once, but hold the stamp steady, making sure you don't shift at all between hits. The more confident you are with the hammer and the strength behind it, the better your impression will be.